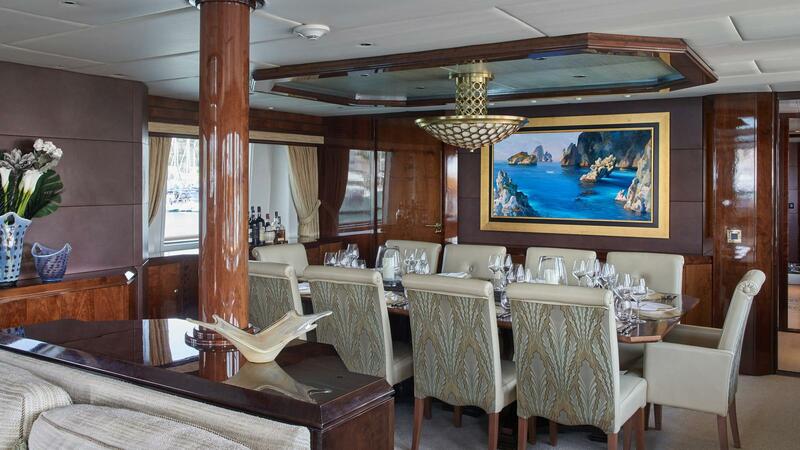 Motor yacht CASTELLINA (ex Bodacious) was built by Moonen Yachts in 2001 and received an extensive refit in 2009, with new interiors by Claudette Bonville. 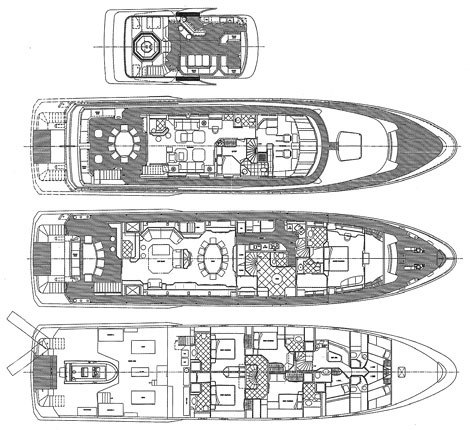 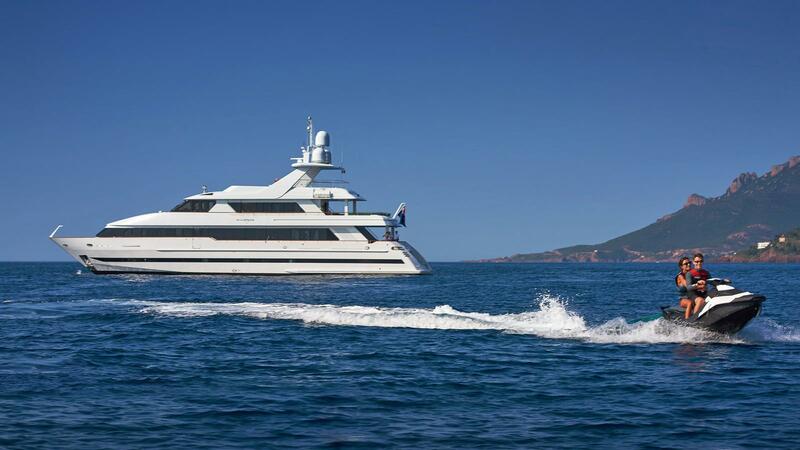 She measures 36.8m (121ft) in length and is a tri-level displacement yacht. 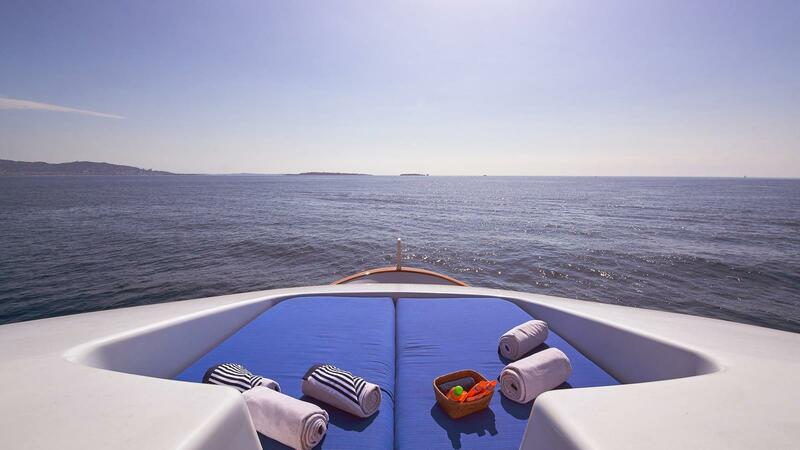 CASTELLINA offers five double en-suite cabins for up to 10 guests. 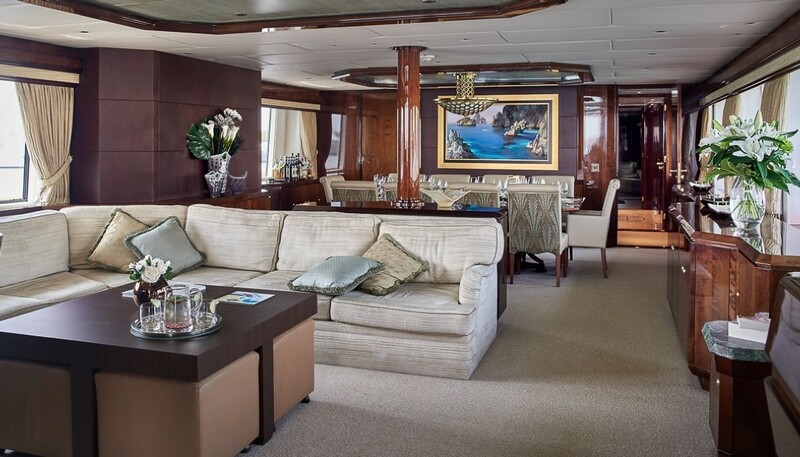 Motor yacht CASTELLINA boasts many social indoor and outdoor amenities including, two lounges, a large formal dining area, two indoor wet bars, three outdoor wet bars, three alfresco dining options and a wide array of superb water toys. 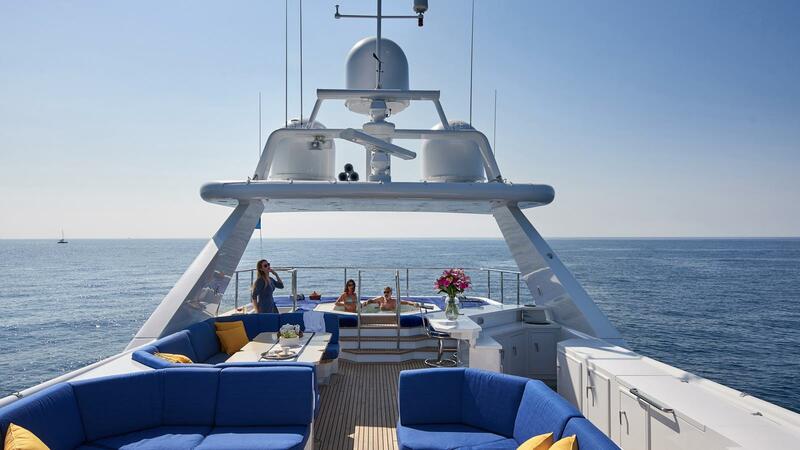 The interior décor is contemporary yet elegant, harmoniously combining optimum comfort, with a stylish atmosphere. 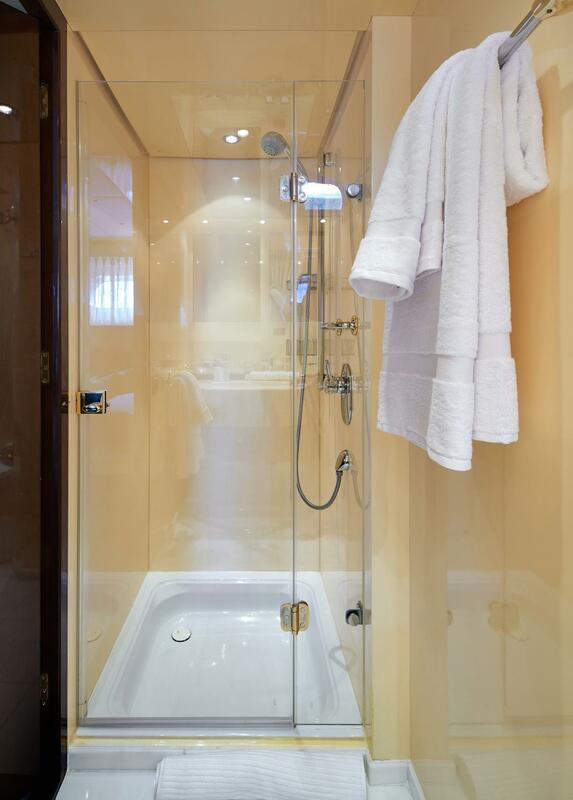 Subtle toned soft furnishings, exquisite bright work, and tasteful embellishments create a truly welcome ambience. 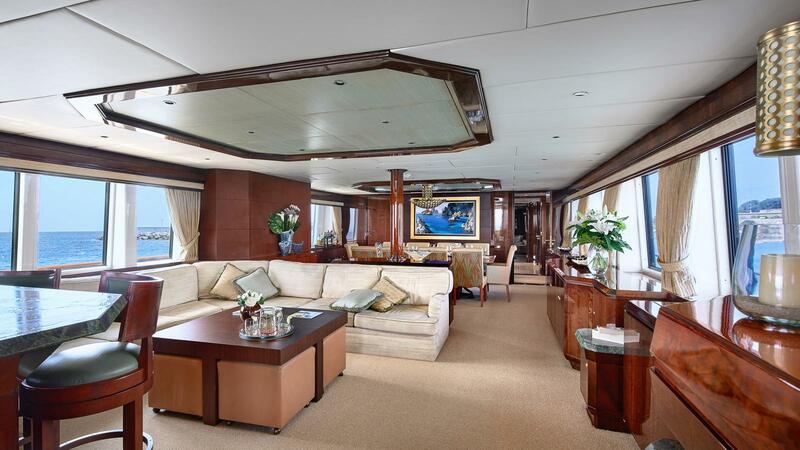 The main salon is generous, featuring a stylish sofa, coffee table, wet bar and tasteful earth-toned neutral décor. 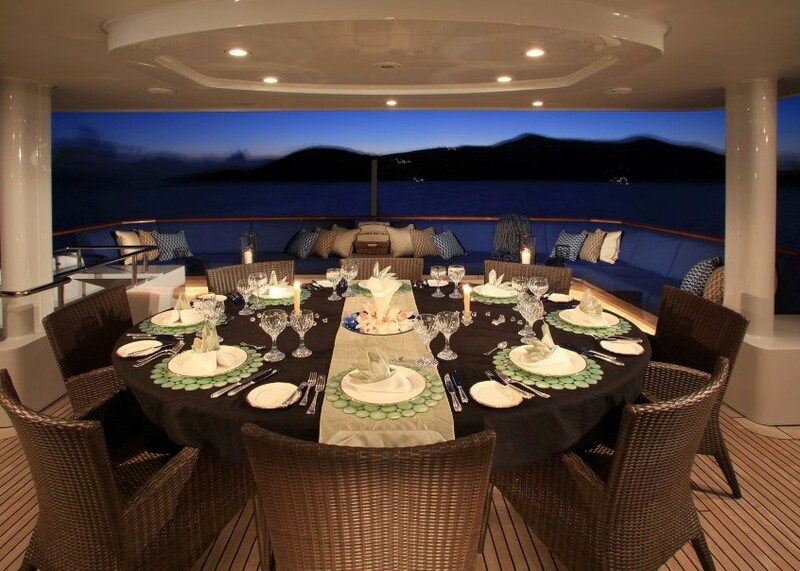 Forward in an open plan, the formal dining area seats ten guests with ease and is a full beam of the yacht. 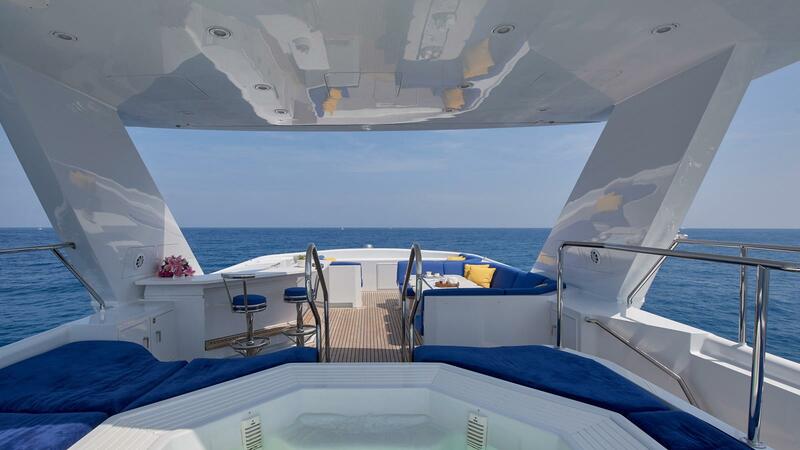 An aft door leads out onto the spacious main deck, complete with optional dining, seating, and wet bar. 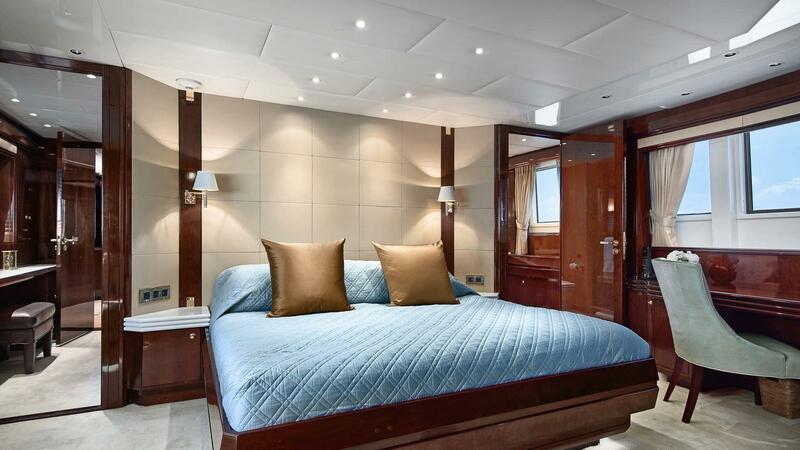 The master stateroom is on the main deck forward, boasting a king size bed, sofa, vanity, walk-in wardrobe, en-suite with his and hers facilities and adjoining shower. 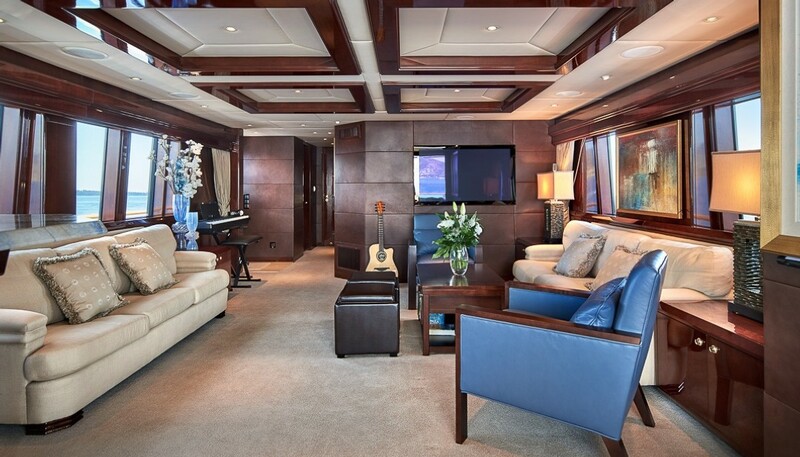 CASTELLINA’s upper sky lounge is a fabulous casual or formal entertaining space, offering ample plush seating and a wet bar. 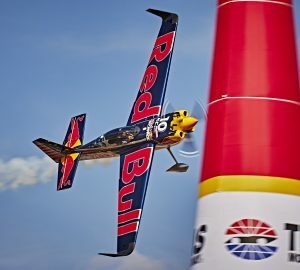 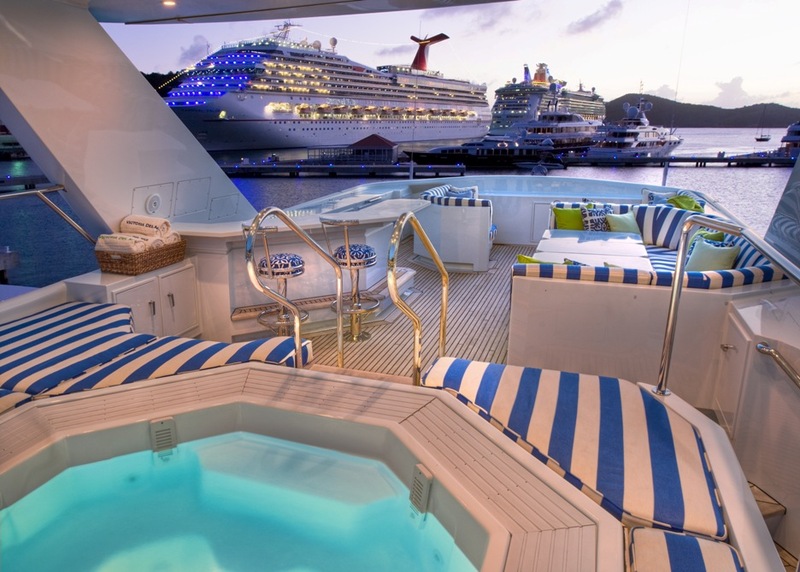 A day head is available forward of the sky lounge. 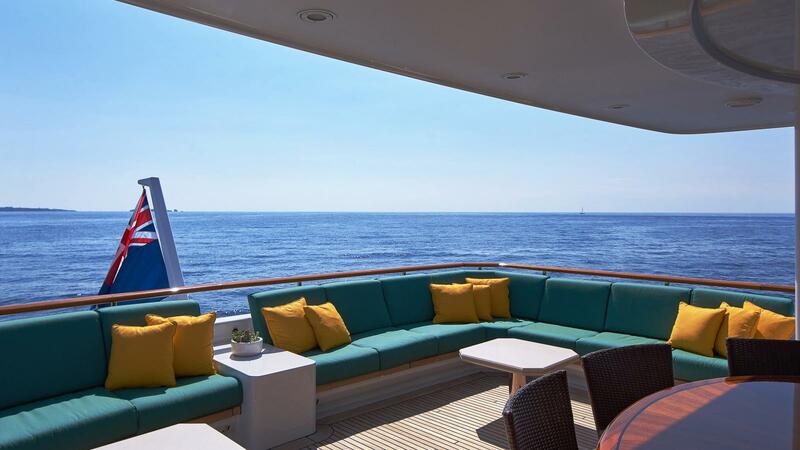 Further aft, guests can enjoy an alfresco meal on the upper aft deck, sip a cocktail from the additional wet bar and lounge on the wrap around full beam aft seating. 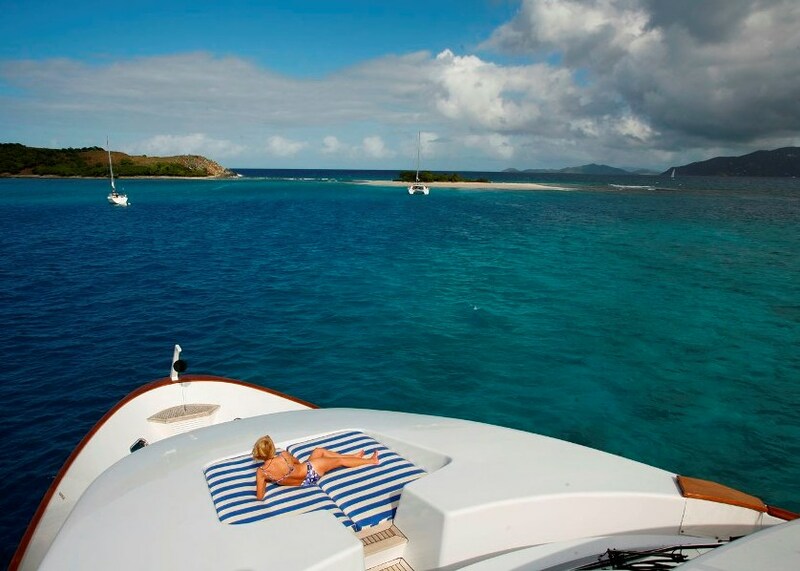 For an intimate escape, a foredeck sun pad is perfect for 2. 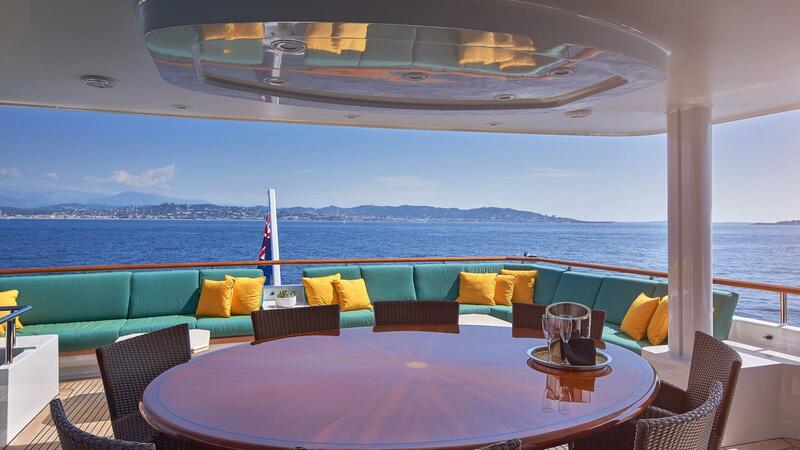 She features an expansive top deck, offering an alfresco dining option, sun pads, wet bar, partial shade and deluxe Spa Pool tub. 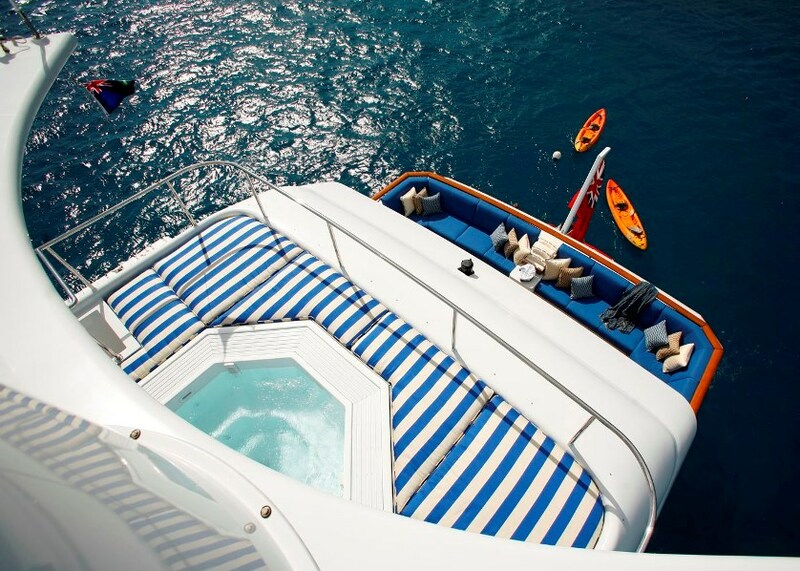 There is a generous selection of water toys on offer, and an extended swim platform allows guests to enjoy them effortlessly. 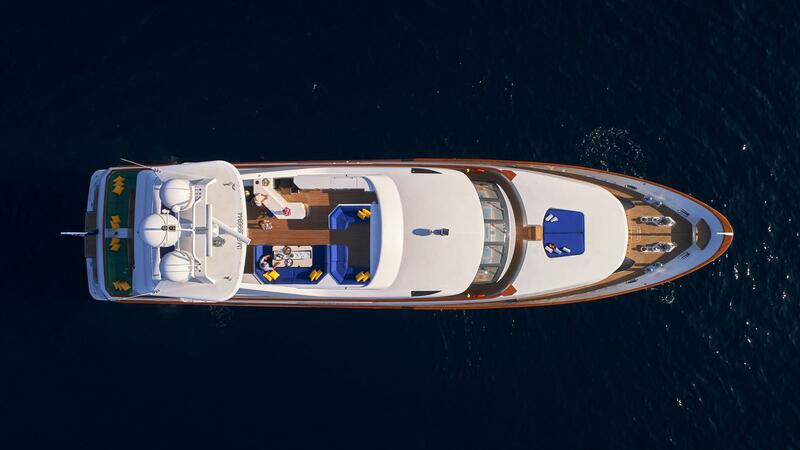 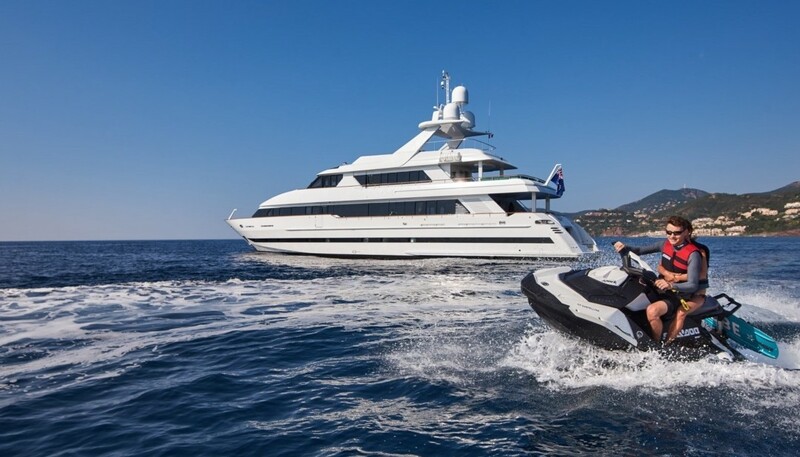 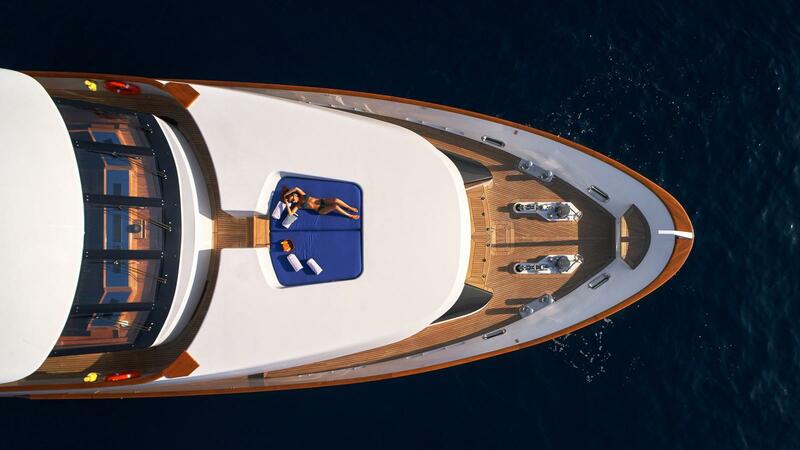 The yacht boasts a dedicated and discreet crew of 7. 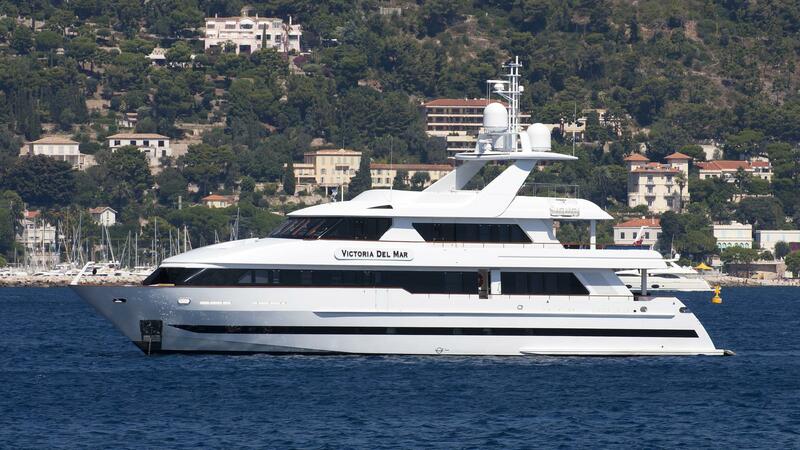 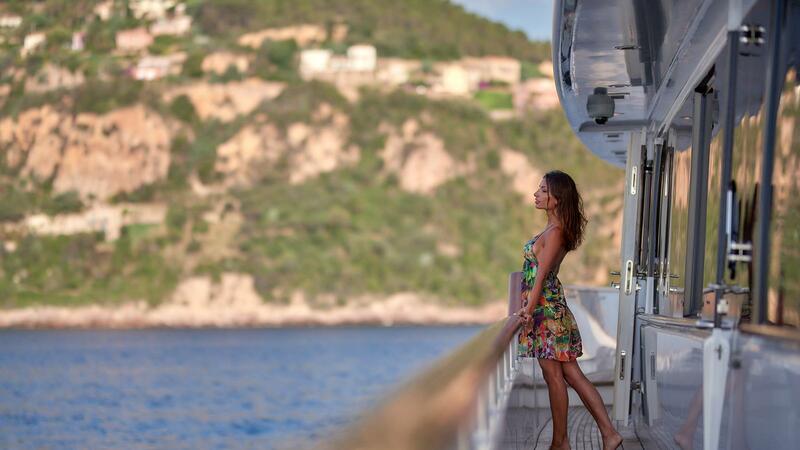 Yacht VICTORIA DEL MAR offers 5 double, en-suite cabins for up to 10 guests. 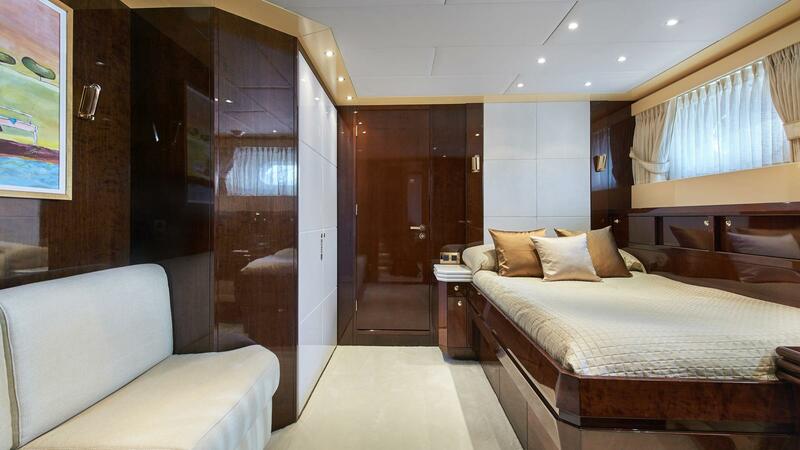 The master suite is on the main deck forward of the salon and dining, featuring a king size bed, vanity, sofa, walk in wardrobe and his and her facilities, with adjoining shower. 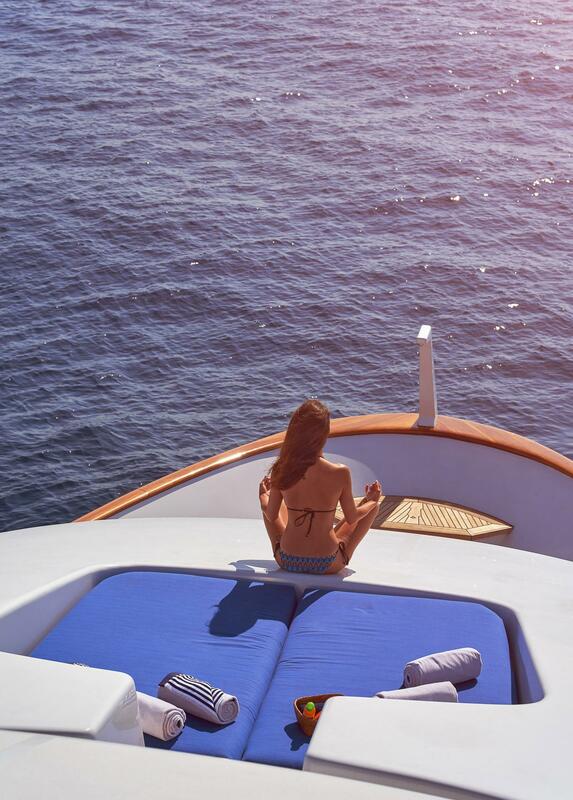 Below decks, 2 double cabins have queen size beds and a further 2 double cabins offer double beds. 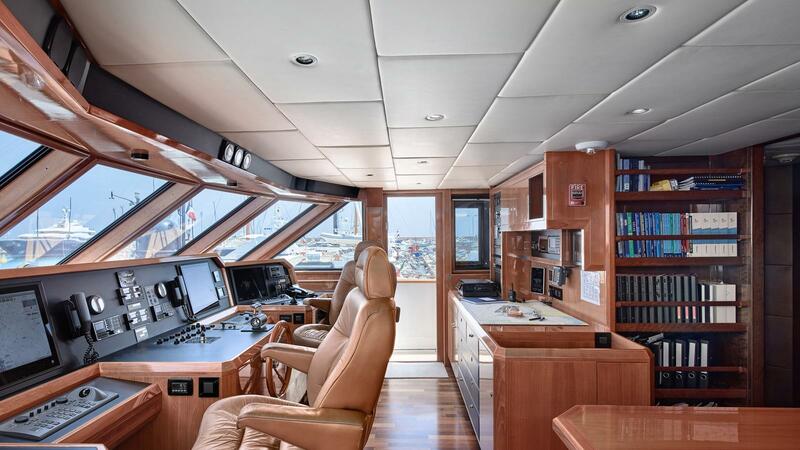 All cabins feature TV/DVD and Satellite receivers. 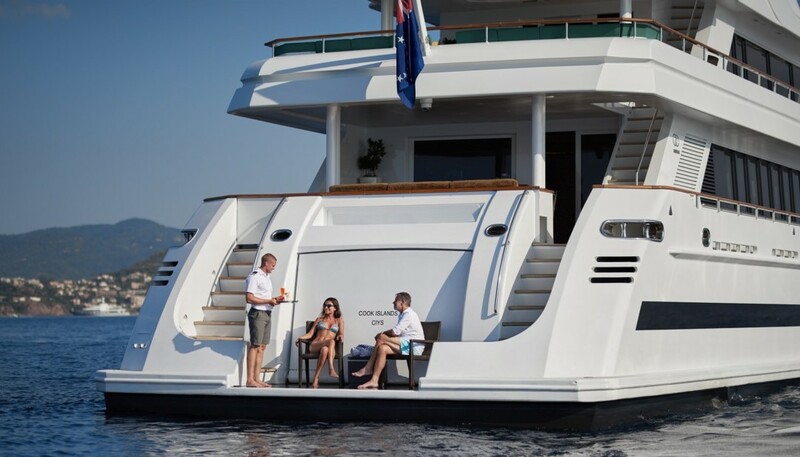 Please contact us for detials on the Tenders & Toys onboard the VICTORIA DEL MAR yacht.